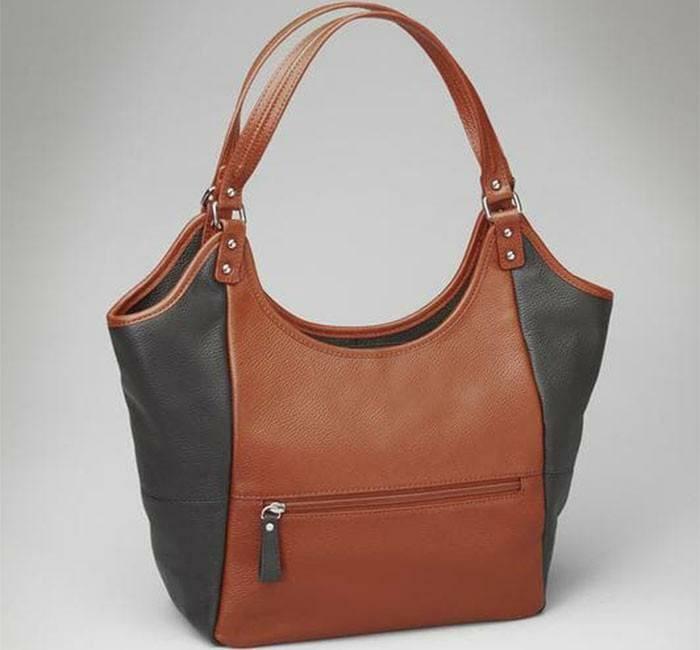 DRAMATIC, IMPRESSIVE, BEAUTIFUL CINNAMON BLACK COMBINATION! 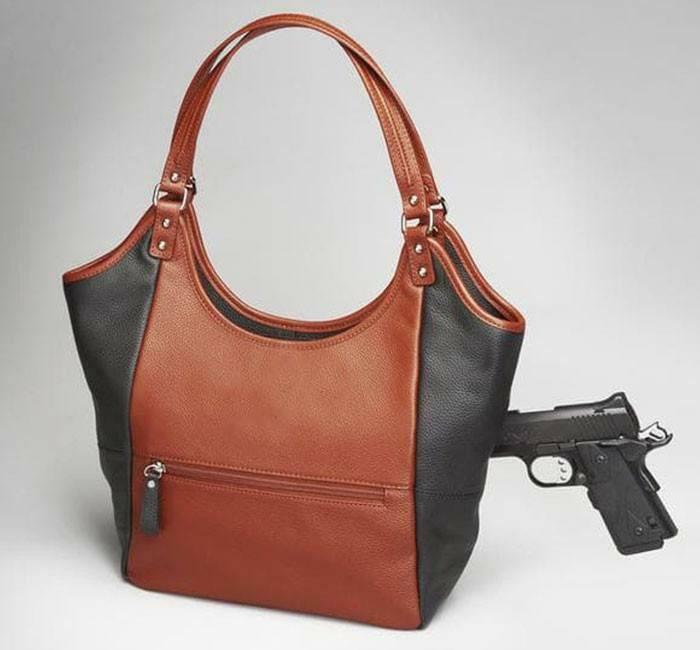 You don’t have to compromise fashion to stay protected. 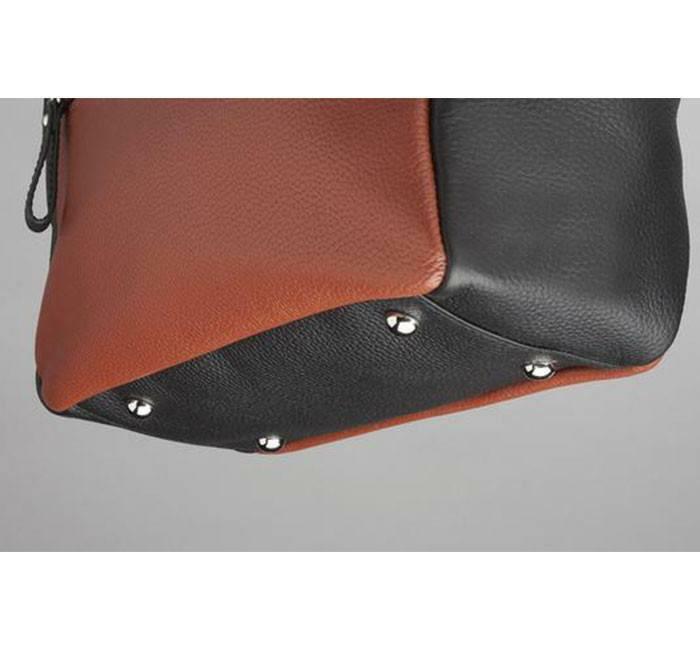 Beautiful pebble grain American cowhide that will get butter soft with age. 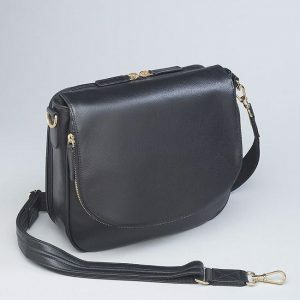 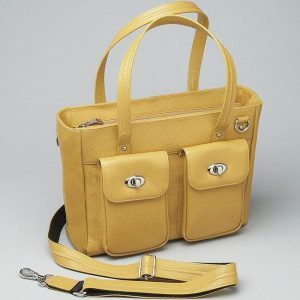 Design and color make this the perfect purse for any outfit. 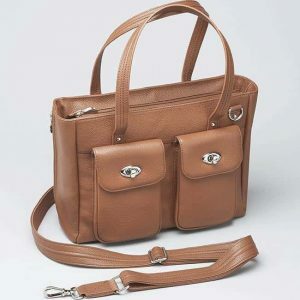 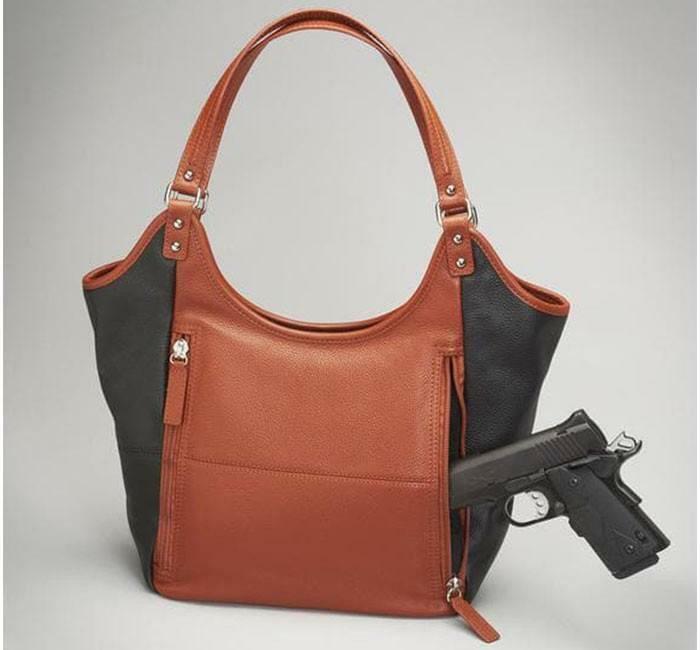 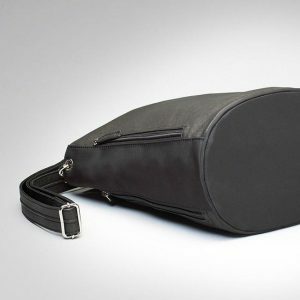 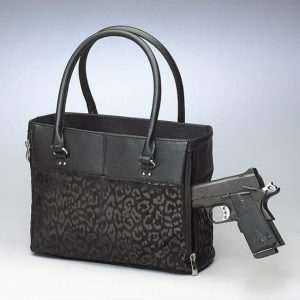 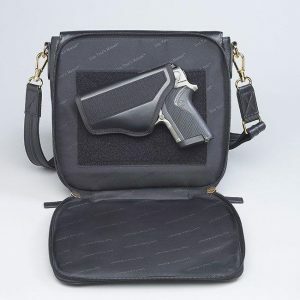 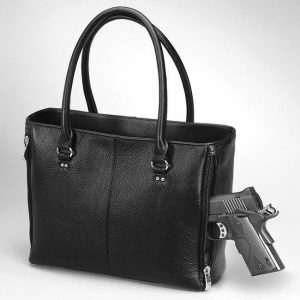 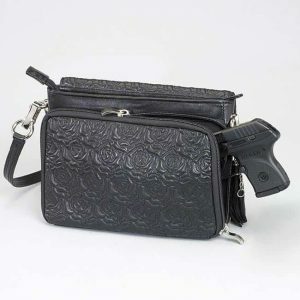 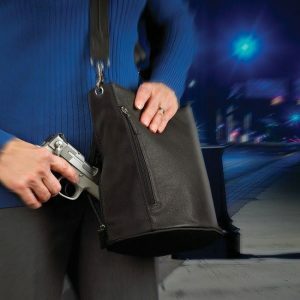 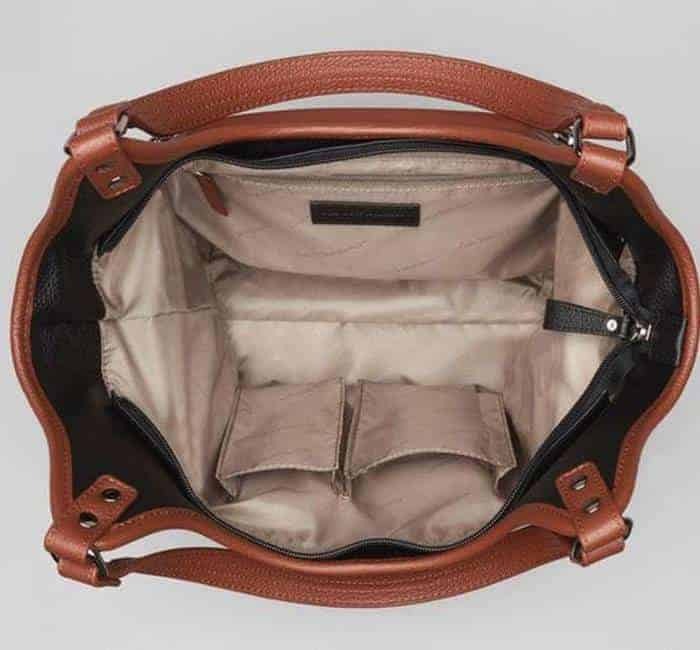 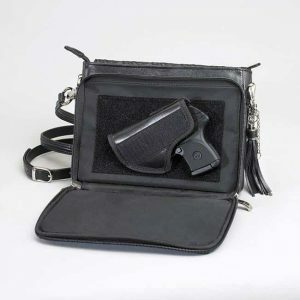 Conceal a full-size gun in addition to many personal items with the roomy interior.